THE FIREARM ADVENTURES : Queensland Secret Police Service? Before we move to the reason for this post, I have to say this. I have a lot of respect for our uniformed police officers that are putting themselves on the line to ensure that order prevails in our communities. No doubt it is a very tough job that a lot of ordinary citizens wouldn't have the courage to do. Personally, I don't think I'd like to do it. "The very word "secrecy" is repugnant in a free and open society; and we are as a people inherently and historically opposed to secret societies, to secret oaths and secret proceedings. We decided long ago that the dangers of excessive and unwarranted concealment of pertinent facts far outweighed the dangers which are cited to justify it. Even today, there is little value in opposing the threat of a closed society by imitating its arbitrary restrictions. Even today, there is little value in insuring the survival of our nation if our traditions do not survive with it. And there is very grave danger that an announced need for increased security will be seized upon those anxious to expand its meaning to the very limits of official censorship and concealment. You may have heard these words before, they belong to US President John F. Kennedy. In this speech reproduced above, he refers to those that wish to "guarantee security" in exchange for the people giving up some personal freedom. There are many who think that this speech and his beliefs were the reason for his assassination. I never thought too much about it, never thought that there was that kind of secrecy and concealment in Australia, let alone in my state. That was until this week when a pro firearms parliamentary researcher stumbled upon a document that reveals that the Queensland Police Service are conducting in secret, a full review of Queensland's firearm laws, with absolutely zero input from the firearms community. No consultation, no external review and no real oversight from a parliamentary committee. "Law abiding gun owners, have you got your lube ready?" This woman created this mess. She has since been sacked but her replacement is also ignoring us! 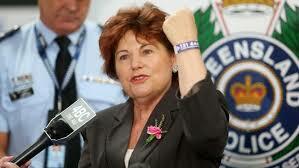 We know that senior police in Queensland do not like the private ownership of firearms. If it were up to them, nobody except the police would have guns. The reason for this is that they view everybody as being guilty of a crime but they just haven't been caught yet. Police have also admitted to the people that they cannot protect us, its not their job. They generally turn up after a crime has been committed, a reactionary force. The way that the Police will get their review converted into law is to say the words "terrorism & terrorist". They already have a boogeyman to use as an example. The Lindt Cafe siege in Sydney is still fresh in the collective minds of the Australian public and it is being used as the catalyst for further restrictions. The politicians will want to be seen as being tough on terrorism & crime so tightening the gun laws for them will be a given. The news media will print and air any and every anti-gun story that they can come up with because this year is the 20th anniversary of the tragic and horrific Port Arthur massacre. This will stir up the sentiment within the sheepish public that normally don't care about gun laws here, because there isn't a gun problem in Australia. There never really has been. The mainstream media are guilty of marketing hype and playing on the fears of the public that generally don't know the truth about firearms and their use. We know that further restricting guns from the law abiding people is an exercise that bares no fruit when it comes to public safety because only the law abiding will follow the rules. The Lindt Cafe siege is proof that those that wish to obtain firearms illegally can and will continue to do so. The pump action shotgun used by the terrorist was already made illegal for ordinary civilians to own way back in 1996 after the Port Arthur event. Don't expect the media to highlight this fact because it doesn't suit their narrative. 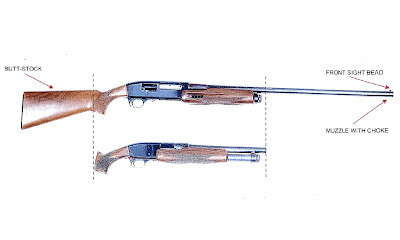 Pump action shotguns are already illegal in Australia. Its also illegal to modify a gun in this way. Australia could learn so much from other countries when it comes to firearms legislation. Canada and New Zealand once had firearm registration and it has been proven in both countries that it was a total waste of taxpayers money, therefore, they were scrapped. Why do the senior police and politicians keep pushing the same tired and unworkable gun laws on the citizens. The money could be better spent on health care and mental illness initiatives or even on our veterans injured physically and mentally after serving in Afghanistan & Iraq. Earning respect from the community is a two way street. Alienating licensed law abiding gun owners is not a smart idea when you need the help and respect of the public as a whole. Perhaps senior police officers in Australia could learn a thing or two from Sheriff David Clark Jr. He is proactive in working with his community rather than alienating them. It's a nice idea but I wont hold my breath. Conducting firearm legislation reviews in secret is repugnant in a free and open society, however it seems that Queensland is not free and open anymore. If you wish to assist us in fighting this secret review, join www.shootersunion.com.au and take the proactive steps listed on the home page.